L'Oreal Paris introduces new products to us during their blogger get together events at their office in Damansara Uptown. 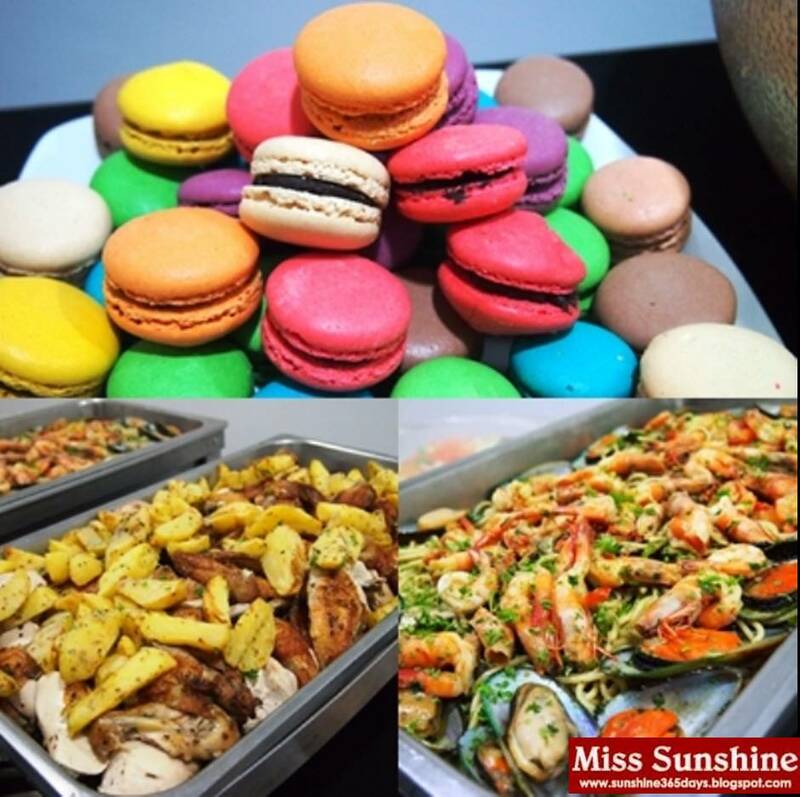 While waiting for the rest of bloggers to arrive, we are served scrumptious food and drinks. 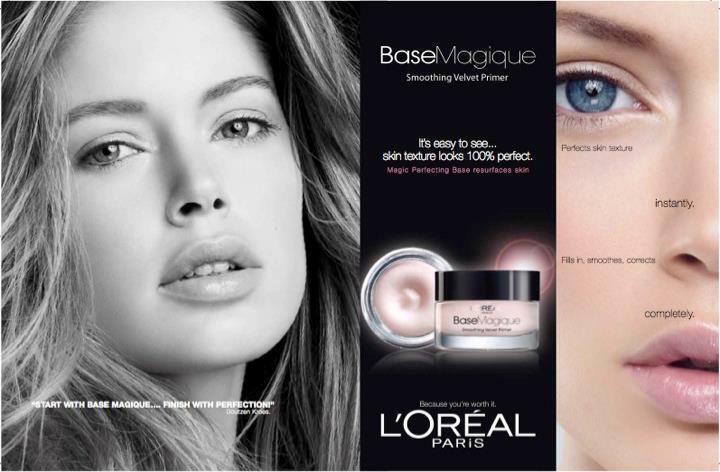 L'Oreal Paris brand manager and product manager introduces and giving presentation on their new products. Wootz! I got a set of products that suit my skin type. Dry, sensitive, pigmentation and uneven skin tone. My skin condition is dry and sensitive so Soothing Foaming Cream Wash is suitable for me. I like the Scrublet and the bottle design, something very different. The Scrublet brush with 500 soft and flexible tips, the silicone brush pad effectively and gently eliminates deep skin impurities. 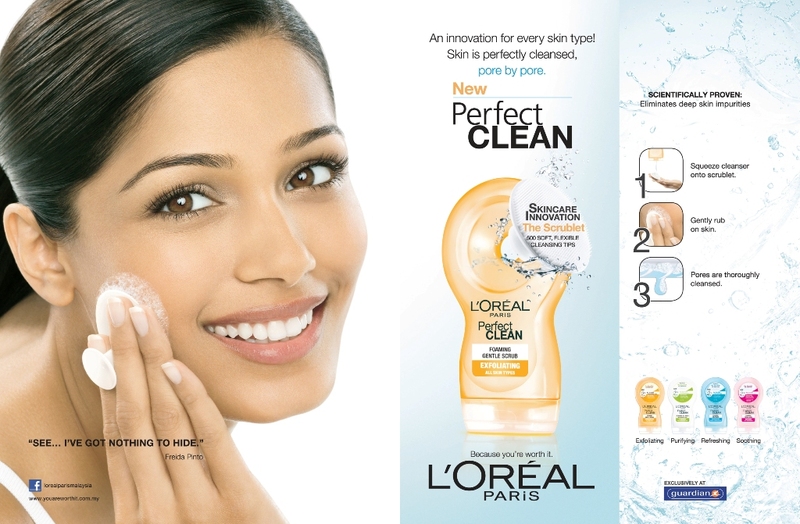 Let’s Crack the Code to Youthful skin, L’Oréal Paris has conducted a 10-year genes research in collaboration with Saint Louis Hospital in Paris on the study of 4,000 skin-related genes. Among these genes, scientists discovered that skin’s capacity to recuperate is linked to the function of what is known as ‘recovery genes’. These genes trigger production of the proteins involved in skin’s renewal process. Ultimately, they are what help skin look and feel younger. When skin undergoes an aggression – whether it is fatigue, stress or environmental factors – recovery genes step in to repair it. For young skin, this takes just 6 hours after the aggression to start the recovery process. However, in mature skin, it does not occur until 30 hours later. In other words, it takes 5 times longer for mature skin to repair in comparison to younger skin. And when skin does not recover as efficiently, it shows on the surface as wrinkles, signs of fatigue, sagginess and dullness. Introducing L'Oreal Paris Youth Code Pre-Essence with new Pro-Gen Technology cracks the code for the activations of the skin's natural recovery process from deep within. In 1 Drop: Skin quality is transformed. Skin is deeply hydrated and silky smooth, allowing skin tone to look fresher. In 1 Week: Skin begins to look younger. Its texture is refined and more elastic so skin looks radiant. In 1 Month: Skin is dramatically younger, almost as if you’ve turned back the time. The texture is fluid and non oily. Skin feels slightly cooling sensation, smooth and soft after application. This is a pre-essence so after apply Youth Code you can apply another serum then follow by moisturizer or treatment. 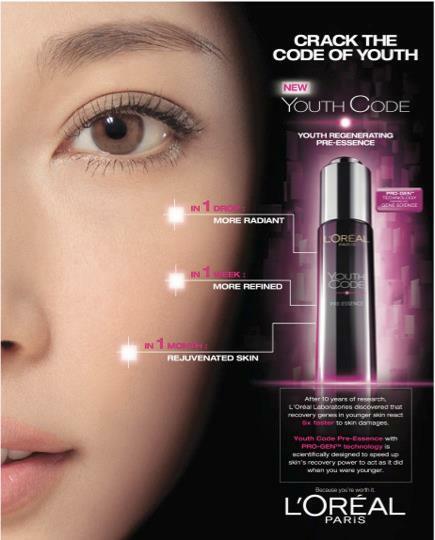 Youth Code can be used with any whitening, anti-ageing, oil-control or basic hydration care. It contains Melanin-Vanish to reduce visible melanin by 82%. It helps the skin become fairer. And it repels pigmentation. It creates translucent skin with evener tone. Tourmaline gemstone enhances the degree of fairness and translucency by 47%. It helps promote skin’s circulation, leaving your skin rosy and lustrous from within. The white essence is a whitening product that helps neutralizing the program of melanin production at the source and it helps to unload existing melanin on the skin layer. The pink essence is a radiance boosting product with Tourmaline gemstone known to stimulate skin microcirculation which results in the shining through of your inner rosy glow. Transform your bare skin texture: The 1st smoothing primer that makes your lines and pores invisible for a visible and touchable smoothness. Sensational Velvet Texture- A unique blend of silicon oils and soft light powders create a sensational smoothing velvet formula to refine the skin. Smooth wrinkles and fine lines. Perfectly hides pores. Skin imperfections are corrected. The rosy shade brings out the translucency on the bare skin tone. With this nifty makeup tool in hand, you can easily achieve perfectly even coverage without any streaks or makeup mistakes. Give your complexion the results it deserves – velvety finish, natural-looking flawlessness, ultra-even skin tone. Because you are worth it. A balanced formula that gives you excellent coverage. 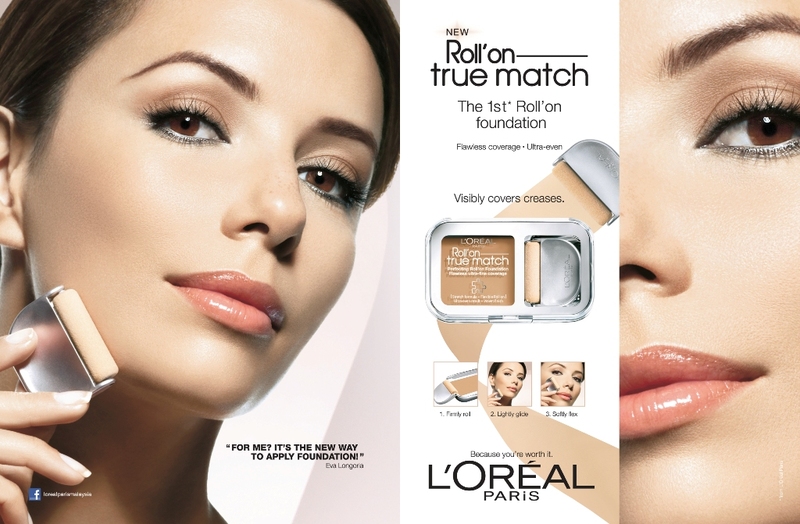 It contains the ideal concentration of pigments, which helps to unify your complexion. Containing oils and gliding agents that stretch the finest layer of foundation over your skin, Roll’ On True Match Perfecting Roll’ On Foundation’s Stretch Formula ensures a velvety finish. Not only that, thanks to its soft focus elastomers, this innovative foundation hides imperfections so easily and so naturally. It is easy and even application. The flexible Roll’ On Applicator seamlessly applies the perfect amount of makeup for smooth, even coverage and the ultimate airbrushed finish. Ultra-Lengthening Double Extension Mascara, which lengthens lashes by 60 percent as well as fortifies it. Waterproof Ultra-Lengthening Double Extension Mascara, Carbon Black Ultra-Lengthening Double Extension Mascara, Beauty Tubes Double Extension Mascara and Double Extension Mascara Renewal Serum, last year’s first-of-its-kind to include a lash serum in its formula that encourages renewal and a boost in lash growth. Double Extension Curl 24 is a fuss-free two-step mascara to give you outstanding results. 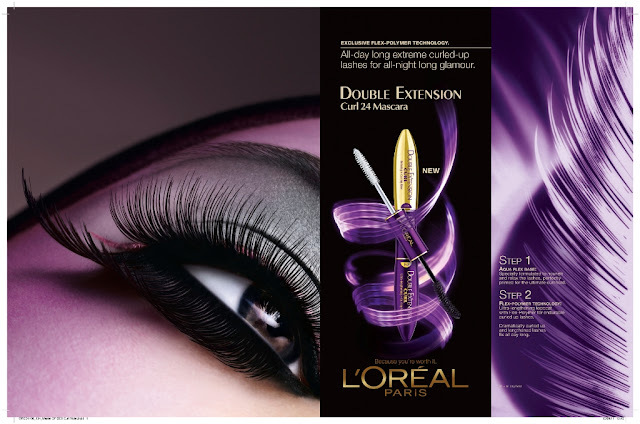 L’Oréal Paris has done it again – women all over can now have the desired curled and dramatic lashes they’ve dreamed of. No need to obsess over beautiful lashes; get it now and enjoy spectacular curl, amazing length and ultra-soft lashes with Double Extension Curl 24. It was a great time and I enjoy learning and trying out new products at the same time catching up with other bloggers. Thanks to Connie and Loreal Paris for the wonderful time and all these great products.